Army: General of the Army George C. Marshall: 9 February 1942--2 September 1945. Rear Admiral Ferdinand L. Reichmuth: 15 September 1942--2 September 1945. 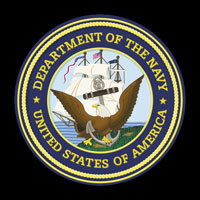 (Established 19 November 1942 as Sea Frontier Forces, Western Task Force. Name changed 17 February 1943.
originally Task Force 23 Atlantic Fleet. Cruisers Battle Force, Pacific Fleet. * (A) Acting. = Rank shown for a military officer is highest rank held while in assignment indicated. (T) Temporary. --------, Red Sun Setting: The Battle of the Philippine Sea (Annapolis: Naval Institute Press, 1981.